Harvard historian Naomi Oreskes urged hundreds of scientists to step beyond the objectivity of their data and embrace the riskier role as “sentinels” for scientific facts. The book and documentary based on it show how the tobacco and sugar industries and climate change deniers cast doubt on scientific facts without ever needing to refute them. Rising extremes of droughts, floods or food shortages can reduce a country’s political stability and cultural tolerance, warned scientists at the American Association for the Advancements of Science conference in Boston this weekend. As global temperatures continue to rise, these and other environmental threats are expected to increase. “You can’t open a McDonald’s ketchup packet without the little notch. Try it, okay?” noted climatologist Richard Alley. Without the little notches, plastic ketchup packets are almost impossible to open no matter how much you pull or tear. 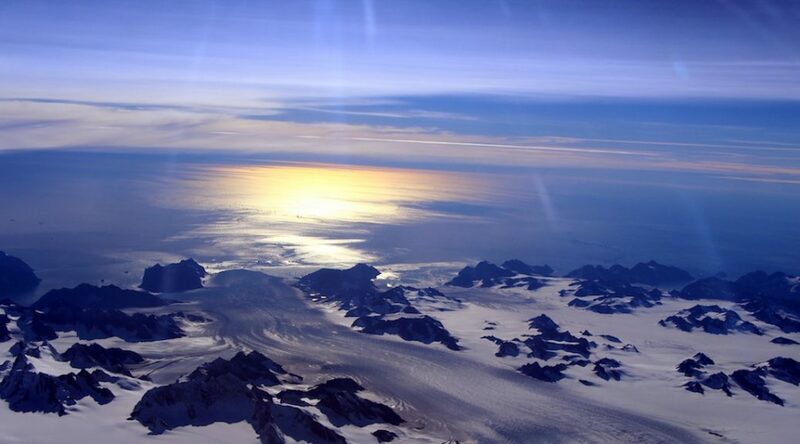 Cracks in the world’s ice sheets are like those little notches, Alley said. Once these cracks appear in ice sheets, the stress concentrates there and eventually can lead to large sections of ice falling off and melting quickly. Alley, professor of geosciences at Pennsylvania State University, used the analogy to describe how ice sheets can rapidly break apart due to preexisting “cracks” or “notches” in the ice produced when meltwater opens small crevices and then makes them big ones, he said. “When you make these cracks bigger, it makes [the ice sheet] break way faster,” Alley said at this year’s Comer Abrupt Climate Change Conference. Alley and a gathering of the world’s top geologists, paleoclimatologists, engineers and climate modelers meet each fall in southwestern Wisconsin to discuss their most recent discoveries on the origins and consequences of abrupt climate change. For scientists, climate change—largely overlooked in the 2016 election battles —remains one of the most important issues at stake on Election Day. The election’s outcome could impact how quickly—and even if—the U.S. reduces its emissions of CO2, the greenhouse gas carbon dioxide. Constantly released in fossil fuel emissions, CO2 traps heat in the atmosphere and causes global warming. Strong world leaders, including the U.S. president, must take the issue seriously for any action on the issue to be effective, Broecker said. Physicist and engineer Klaus Lackner makes artificial trees – but not the kind that decorate living rooms and lobbies. His artificial trees can capture carbon dioxide directly out of the air—and they’re 1,000 times more efficient than nature’s trees in doing so. Millions of the trees could eventually generate “negative carbon emissions,” meaning they could take more carbon dioxide out of the air than we put in from fossil fuel emissions. That is what we need to reverse the course of climate change, he said. People on Earth generate 36 billion metric tons of CO2 each year and CO2 is a greenhouse gas that holds heat in the atmosphere. Jimmie Korosa awakened in the middle of the night with a foot-long rat clawing at his back. Korosa battles the rats every day. 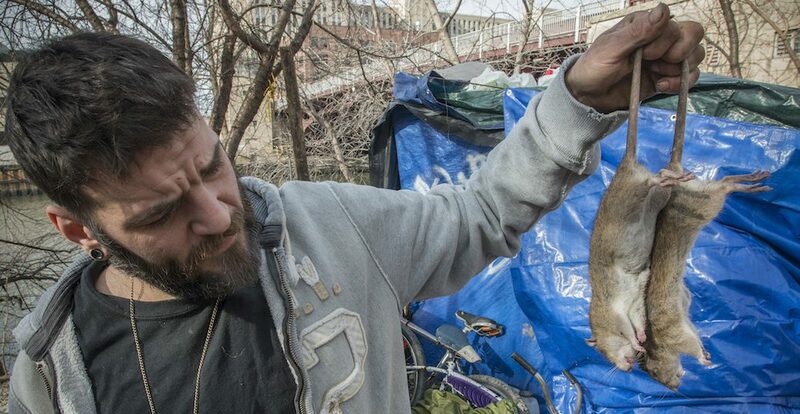 Like many people experiencing homelessness in Chicago, he camps in a tent in a vacant lot and faces constant exposure to the disease-carrying rodents. “When they run by, they sound like a herd of elephants. They’re not afraid of humans – they eat anything and everything,” Korosa said. More than 30,000 rodent complaints were filed in 2016 alone, according to the City of Chicago’s data portal. But while Chicago’s rats affect the entire city, the homeless are on the front lines.